As the days fly by me, I find myself constantly dreaming of the three weeks I'll be spending at home with the family. 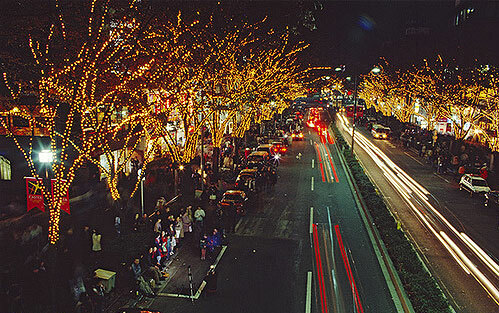 The holidays always make me homesick as friends talk about plans with family, decorating their homes, and holiday movies start playing on TV. I am blessed in that I get to go home to see my family and friends in a few weeks, but doesn't change the fact that the only way I can talk to them at the moment is through Skype, e-mail and iMessage (thank you Mr. Jobs!). So, in order to torture myself more, I decided to post some of my favorite places I can't wait to return to with some of my favorite people. The photo is a little blurry but it's still one of my favorites. We had to downgrade to a little tree this year because of the new puppy, for the fear that he would eat the tree and decorations (!!!). Either way, the familiar smell of my home the minute I walk in the door after getting back from the airport is the best smell in the world. Seeing my mom and dad when I walk out of baggage claim is also the best sight ever. 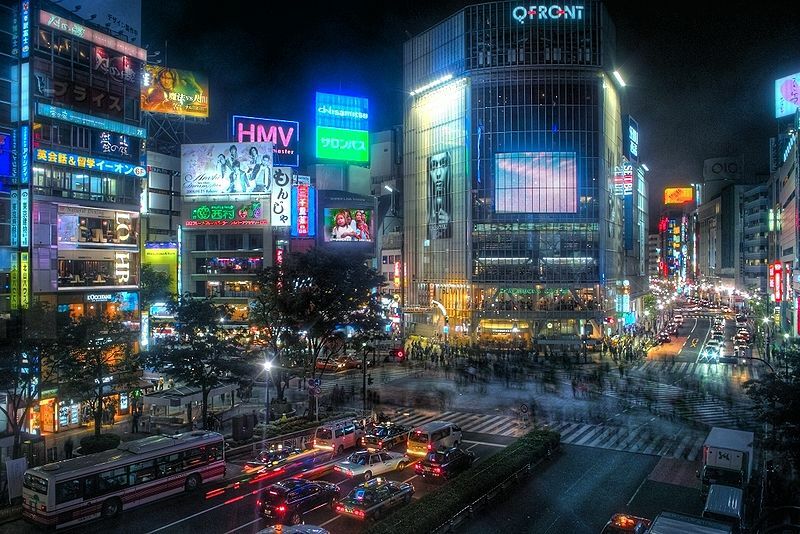 Nothing beats coming home to the messy, craziness of Shibuya's scramble crosswalk! 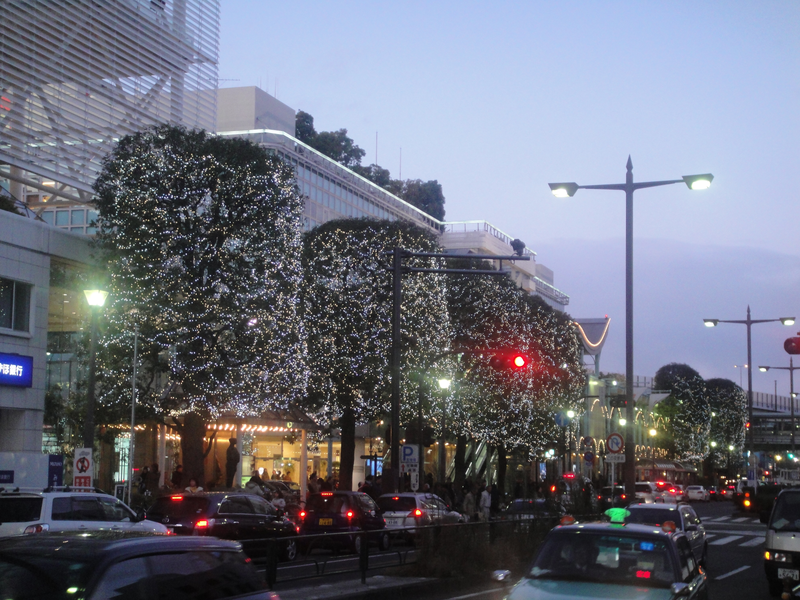 I can't wait to see this street in front of Futako-Tamagawa Station all decorated for Christmas! The old-school Takamashimaya is still a favorite, but I am also excited to see more of the new shopping center, Futakotamagawa Rise and Dogwood! Lalaport is another one of my favorite malls in Japan - it's also where we got our puppy, Alfie :) I love that they have Zara, H&M, Forever21 all in one place! Their prices are a little bit cheaper than in Tokyo so that's always a plus. Home of Tokyo's famous Tokyo Tower, Roppongi Hills, fun, quirky restaurants, as well as its "Red Light District" where my friends and I frequent often on our nights out. Definitely cannot survive as long as they do, and am in the comfort of my bed by 4 AM, but it doesn't change the fact that I always have a blast. You know all those street fashion photos you see? They're mostly taken right here, in Omotesando. A few blocks away from the more quirky fashionista neighborhood, Harajuku/Takeshita St., Omotesando is a haven for all those fashion lovers out there. The streets are lined with Chanel, Louis Vuitton, Gucci, and more. Oooooh these pictures are gorgeous!!!! Come to visit my blog when you have time and if you want let's follow each other! PLEASE DON'T LEAVE ME :[ who is going to go on dates w/ me when you're gone!!!! !